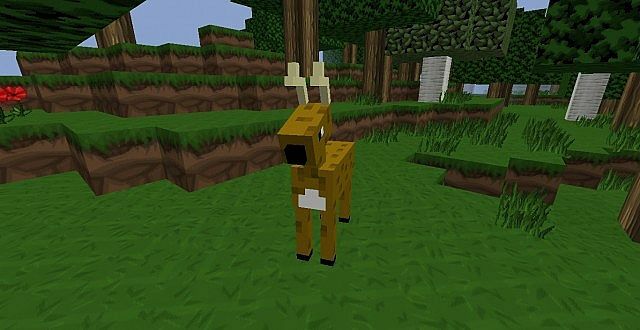 The Many Deer Mod, created by the developer many231, adds a deer to the game. The deer will walk around your world, but for now that’s about all it does. The mod is brand new, and future updates plan to expand the mod and also iron out a few of the existing launch bugs. 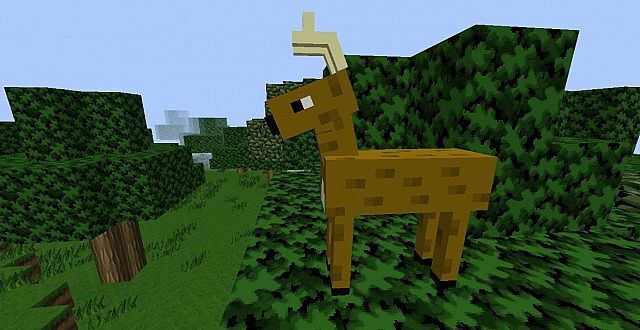 To use the Many Deer Mod you first of all need to download and install this mod with Forge. Then, once you open up your game all of the mod’s features should have already been automatically updated. The mod is currently available with Minecraft 1.8, so therefore should install very easily. The Many Deer Mod adds in one deer, and that’s it, that’s all it adds. The mod is very new, created by first time developer many231. Currently, there a few minor bugs in this mod, but on the plus side, the texture is great. In future updates, the developer has planned to add baby deers, as well as more textures and drops. Next, download the Many Deer Mod and drag and drop the .zip files into the ‘resoucepacks’ folder. There are currently no public changelogs for the Many Deer Mod. The developer released all of the features for the mod upon initial release. The mod is going to be updated soon however, hopefully adding deer drops, and more textures for the deers too.